Minimalist. THE skincare for you + your mood too. Minimalist. A luxurious skincare range for all skin types created to uplift the soul. Our small batch products are expertly hand crafted in New Zealand, using only the best natural, organic, vegan + cruelty-free ingredients. Minimalist. 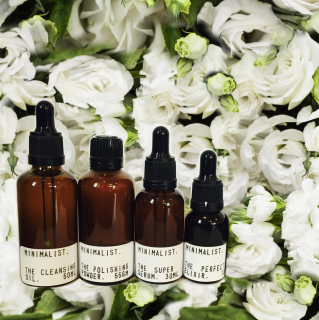 Boutique Skincare. gives you a simple process to achieve your most perfect skin, with formulations that are not only highly effective but also completely free of toxins + harmful chemicals. 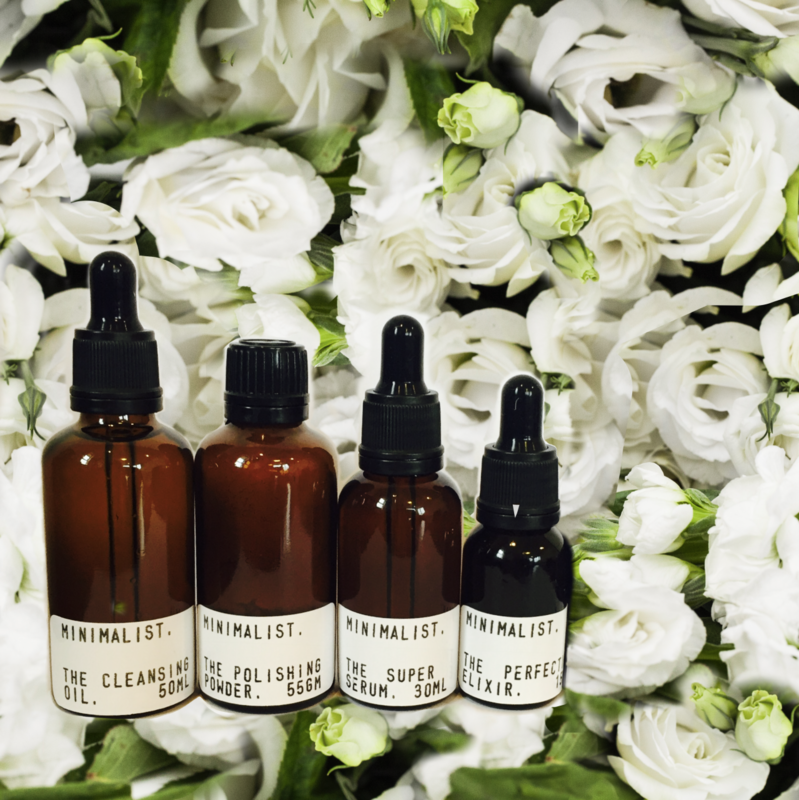 Slow down + immerse yourself in a mood enhancing, self-care routine with Minimalist. The Perfecting Elixir. 15ML. ​FREE global shipping. ​Step 4. The Perfecting Elixir. An opulent, rich elixir created from natures true miracle oils to help heal the signs of aging. Rejuvenates the appearance of the skin, boosts collagen production + increases luminosity. Facilitates the skins own healing processes + regeneration of new skin cells. ​Uses aromatherapy to invoke a feeling of positivity, inner-peace + Zen-like calmness. Discount available when you purchase with The Ultimate Kit. Your own drop of the fountain of youth. A powerful restorative elixir to help turn back the clock + perfect imperfections. Incredibly fast acting, The Perfecting Elixir. has the ability to facilitate the skins own natural healing processes, aiding in the regeneration of skin cells + collagen synthesis. It contains remarkably high concentrations of vitamins, omegas + antioxidants to plump, smooth + soothe. You can learn more about the miracle ingredients used here. Leave your skin glowing with The Perfecting Elixir. Only a drop or two of this efficacious elixir is needed. Dispense onto ring fingers + firmly pat into problem areas such as scars, crow’s feet, frown, smile + lip lines or even acne. Best used in your night time routine, or any other time followed by an SPF. Add to The Super Serum. for a full-face treatment. The Ultimate Kit.​ FREE global shipping. Step 1. The Cleansing Oil. 50ML. Natural + gentle formulation that is both organic + vegan. Step 2. The Polishing Powder. 55GM. Step 4. 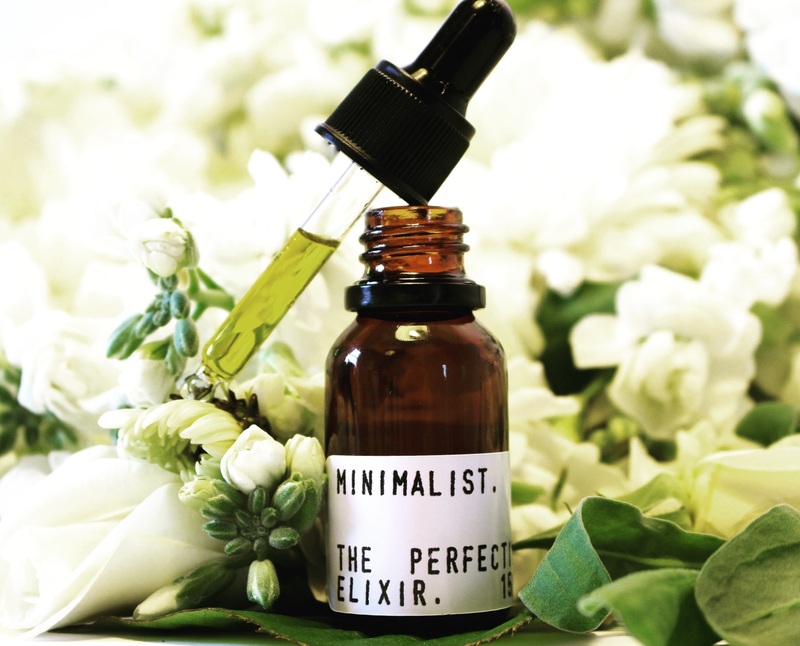 The Perfecting Elixir. 15ML.